As I sat companionably chomping on apricots in harmony with hubbie and our guide, Salah, it struck me that eating these delicious little fruits wasn’t the only new experience I was having this week. Apricots and tours. Two things that haven’t really featured in the vocabulary of the Conversant Traveller. Until now. Trying my first ever fresh apricot, at the top of the Tizi n Test pass no less…we were treated to different fruits at different viewpoints each day! Yum! If you’ve spent more than two seconds on my blog you’ll appreciate that hubbie and I prefer to do things independently when we travel. Relinquishing control to a third party just doesn’t work for us, and since even ‘bespoke’ tour companies generally have hidden loyalties to particular accommodation providers and routes, doing a tour has never been on our agenda. Yet sometimes I’ve felt we have missed out by not engaging local expertise, especially seeing as we often return home with more questions than when we left. However, nothing could convince me a tour would be the answer. Then I discovered Emily from Wild Morocco, who decided to take on the challenge of changing my mind. Wanting a new experience on what would be our sixth trip to the country, and drawn in by her obvious enthusiasm I hesitantly said yes. I worried for the next few days about not being in control, and wondered how on earth anyone could produce a trip itinerary as good as mine usually are! Standards were high! But after almost daily emails back and forth for weeks (I’m sure she must have been regretting taking me on by this stage), I realised that Wild Morocco have a rather refreshing approach to tours. 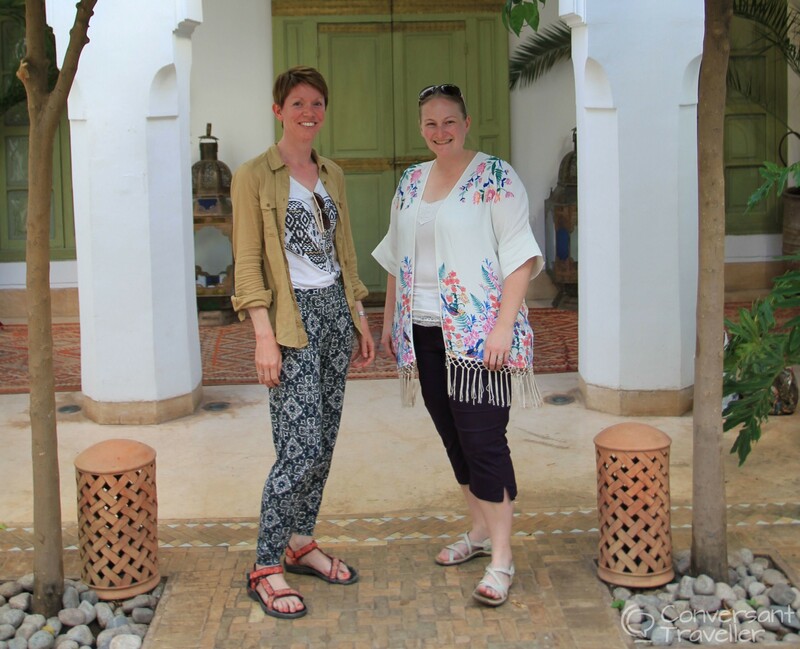 I love meeting people who are as passionate about Morocco as I am, and Emily from Wild Morocco fit the bill perfectly. Our tour was in safe hands. They really do mean ‘bespoke’, and Emily took on the role of consultant rather than dictator. This meant although she put together an trip based on my requirements (all several pages of them! ), I was able to have as much input as I wanted. Once we had confirmed the route, she gave me several accommodation suggestions to check out based on the sort of places we like to stay rather than places to which they’re affiliated, and I had total control over the final cut. 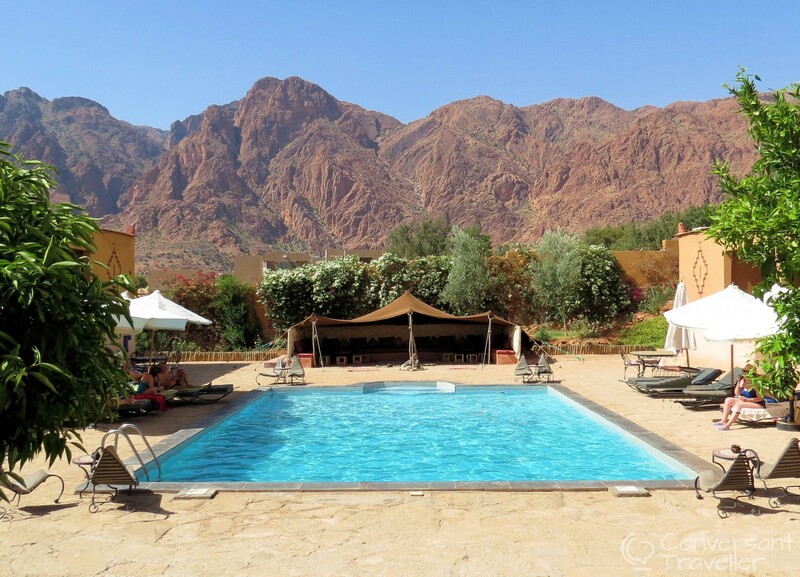 We certainly weren’t disappointed with Emily’s suggestion of Chez Amaliya in the Ameln Valley, have you ever had a view like this from the pool? If we ever do day tours or hire a guide, we always try to use local companies rather than foreign operated ones yet language difficulties can sometimes cause problems. 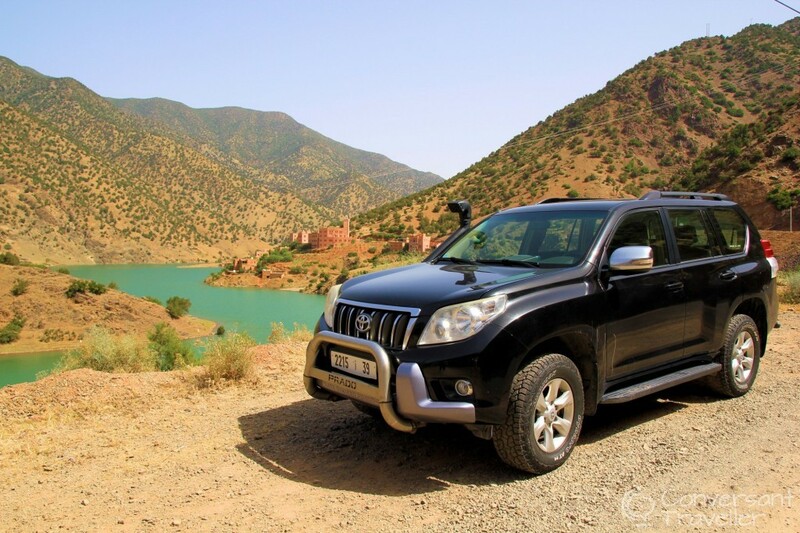 On one of our previous trips to Morocco we were disappointed with a company we’d used to hire a driver as they had promised one thing and delivered another. We were unable to communicate effectively to rectify what turned out to be quite a delicate situation. Being an English-Berber owned company, Wild Morocco was on to a good thing right from the start. 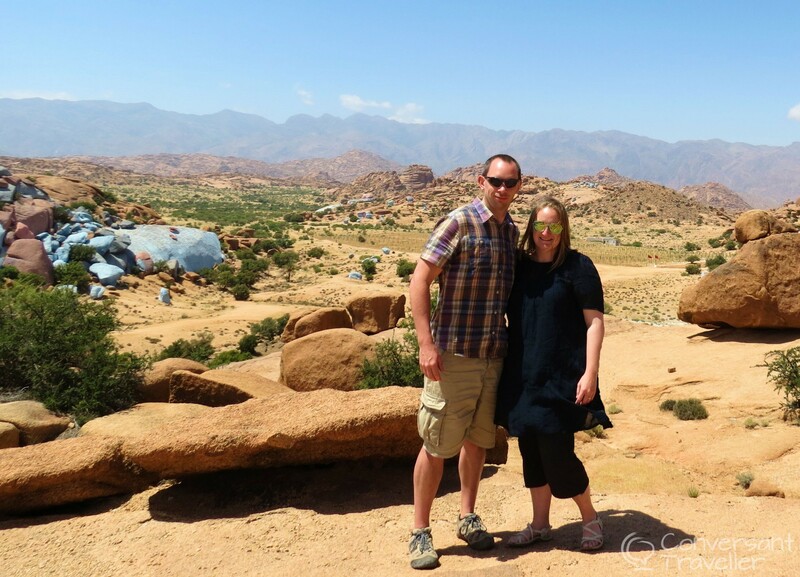 Emily is from the UK, and tired of big city life in London she jumped ship several years ago to come and live in Morocco. I have to admit some degree of envy here. Together with her Berber partner Yahya who hails from the Sahara, she set up the company to show travellers just like me the secrets of Morocco that we don’t get to see by going it alone. What could be more perfect, an English speaking Berber company. Best of both worlds. Wild Morocco specialises in private Sahara tours and desert trekking in the Erg Chigaga region, but as we’ve visited the desert on previous trips this time we were looking for something different. 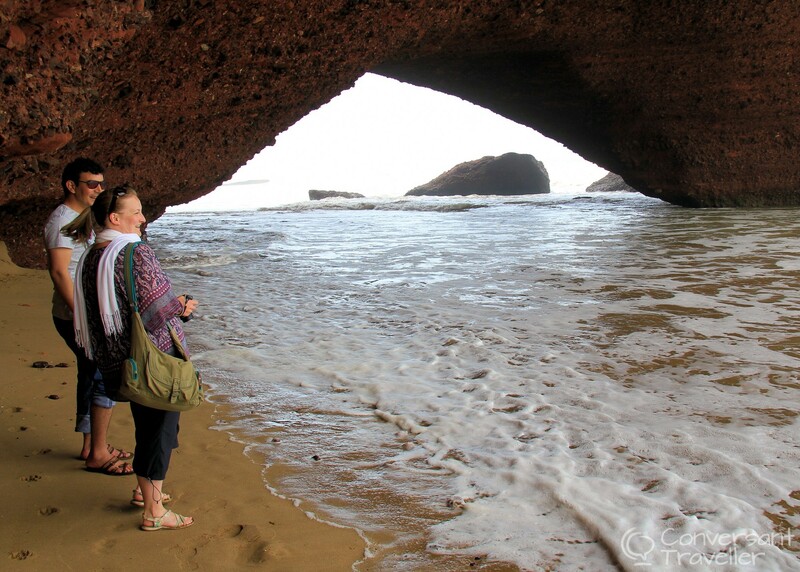 I’d mentioned to Emily that we wanted to explore some of the more undiscovered areas of Morocco, and that we’d never seen the coast before. She came back with a busy week packed full of new places and experiences, just how we like it. 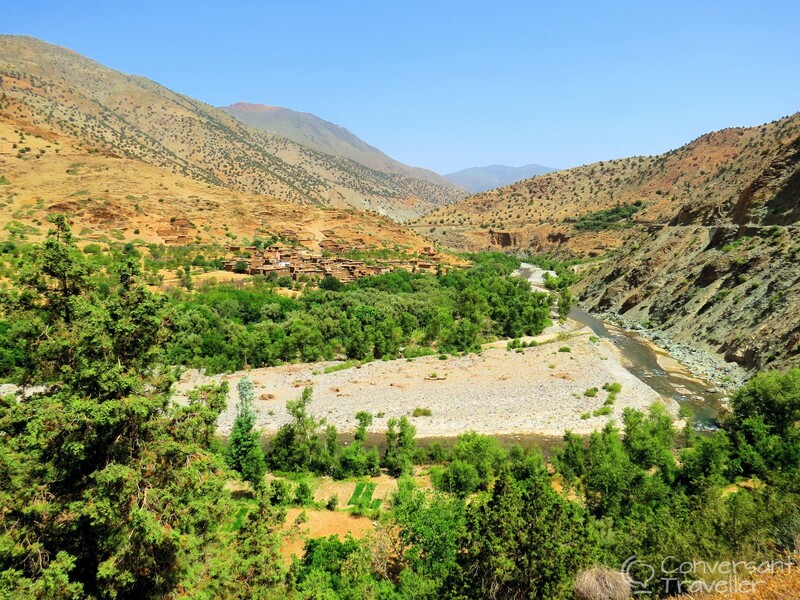 The circular route began in Marrakech, then headed over the Tizi N Test Pass in the High Atlas down to Taroudant, before winding its way through the Anti Atlas along to Tafraoute and the Ameln Valley. Next it was on to the coast (yippee!) and the sleepy town of Mirleft, after which we travelled north along the Atlantic to finally finish in Essaouira for a couple of days of much-needed relaxation. 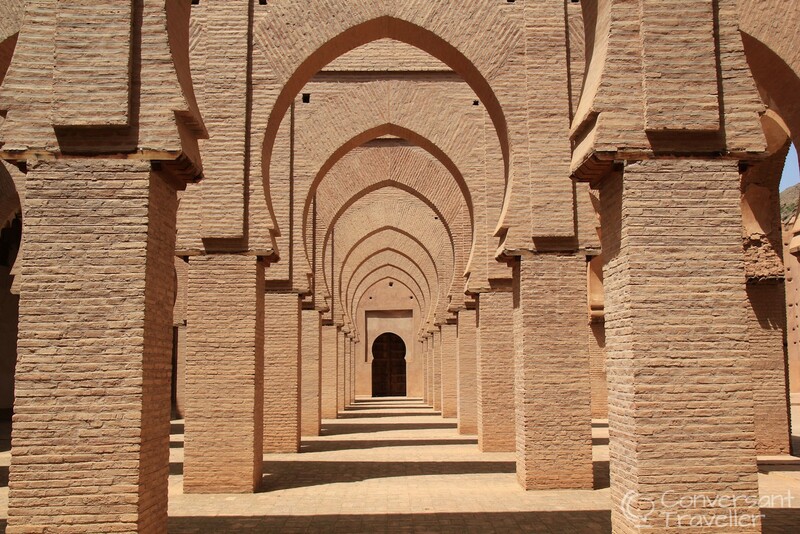 The Tin Mal Mosque on the Tizi n Test pass was somewhere I’ve wanted to visit for years…and it’s even more spectacular than in my dreams! Salah was more than simply our driver and our guide. By the end of the week it felt like he had become a friend and we were genuinely sad to have to say goodbye. The relationship between guide and client can make or break a tour, and it was perhaps this aspect that I was worried about the most. Yet after just half an hour together I knew we had a good ‘un, and that the week ahead was going to be just fine. 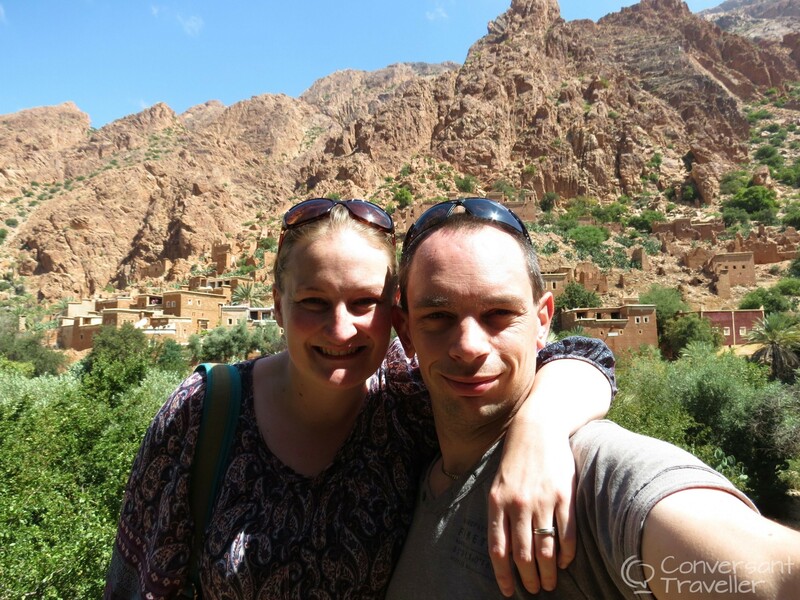 Emily and Yahya have kept Wild Morocco small but perfectly formed, using only drivers they know well themselves. In fact Salah, who comes from Zagora, grew up with Yahya down in the south and it was reassuring that we were being looked after by what feels like one big family. 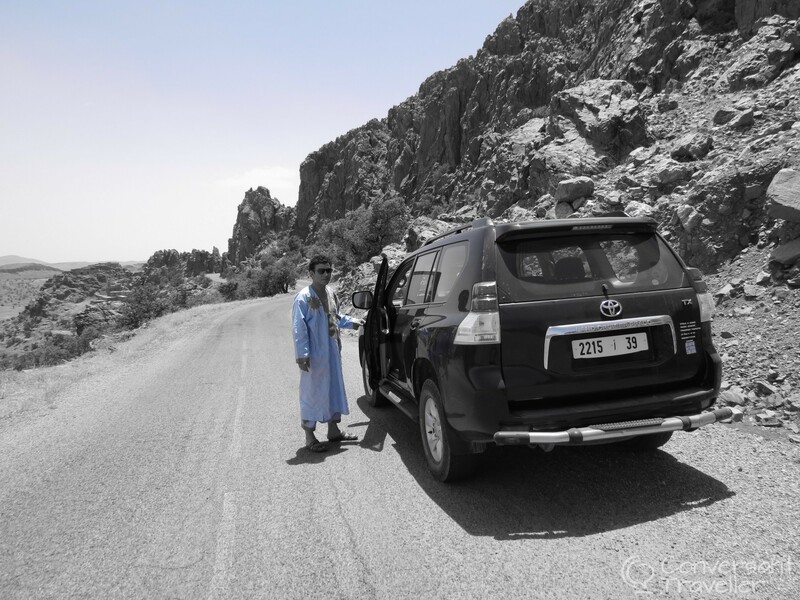 Tour drivers in Morocco have to take two separate driving tests, one to be licensed to carry tourist passengers, and we felt very safe in Salah’s hands. A courteous yet confident driver who handled the all-important overtakes without taking unnecessary risks. We’ve hired several drivers in Morocco in the past, and it’s quite rare they have all these qualities mixed in together. 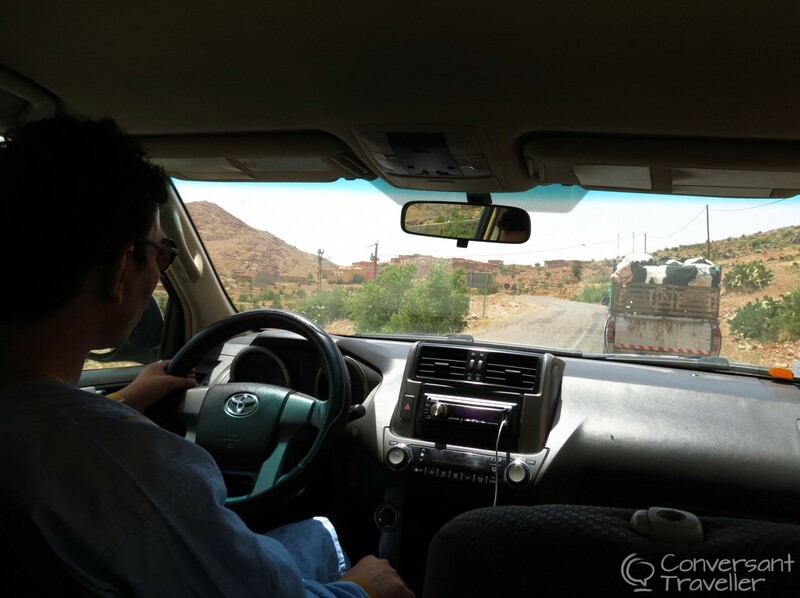 One driver was so cautious he never overtook anything, and let me tell you, that was one agonisingly slow drive all the way from Erg Chebbi to Ouarzazate – we could’ve walked faster! Not quite sure what to make of the Blue Rocks near Tafraoute…a Belgian painter’s tribute to his late wife…art or vandalism? Something else that puts us off tours is guides who incorrectly assume we want to chatter constantly. Sure, we love learning new things, discussing our different cultures and getting to know each other, but we also love watching the world go by out of the window without having to make small talk. Salah got this spot on, and when none of us felt like chatting we alternated between his and hubbie’s contrasting music playlists. Apparently hubbie ruled mine unacceptable for general listening, no doubt something to do with too much Mozart and an over-abundance of whale music! The boy has no taste. I’m not used to being looked after quite so perfectly (except of course by hubbie, but then that’s his job!) and once we realised Salah was adamant we allow him to take care of us, we began to relax and enjoy it. It’s the little things that really made a difference. Whenever we stopped for photos (which was pretty much every other mile) Salah would jump out and open my door for me, and then close it again when we’d finished. Quite the gentleman. Sometimes I would try to beat him to it but very rarely succeeded. 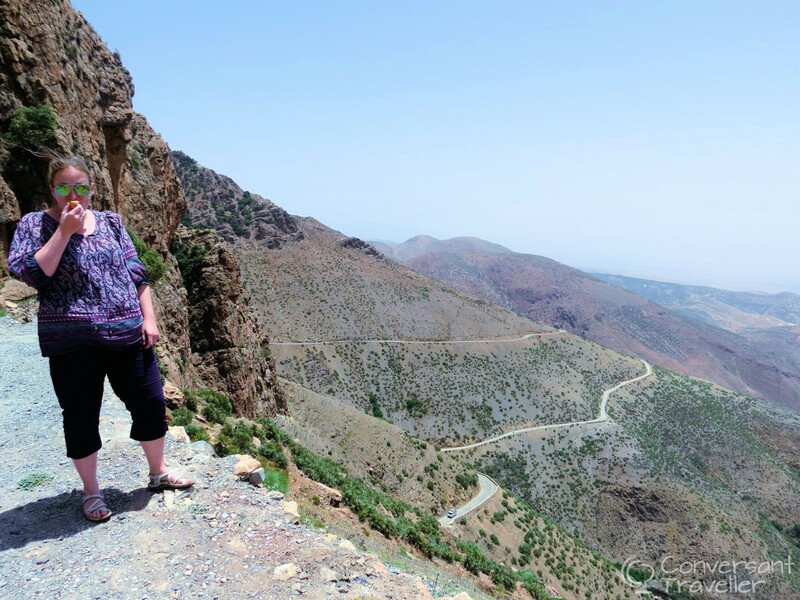 It’s so quiet in the Anti Atlas Mountains that we could stop literally in the middle of the road for photos…no-one for miles, bliss! When he realised we don’t usually eat lunch (have you seen the size of Moroccan breakfasts and dinners?) Salah stopped at the market each morning to buy us water and snacks for the journey. A new taste each day. 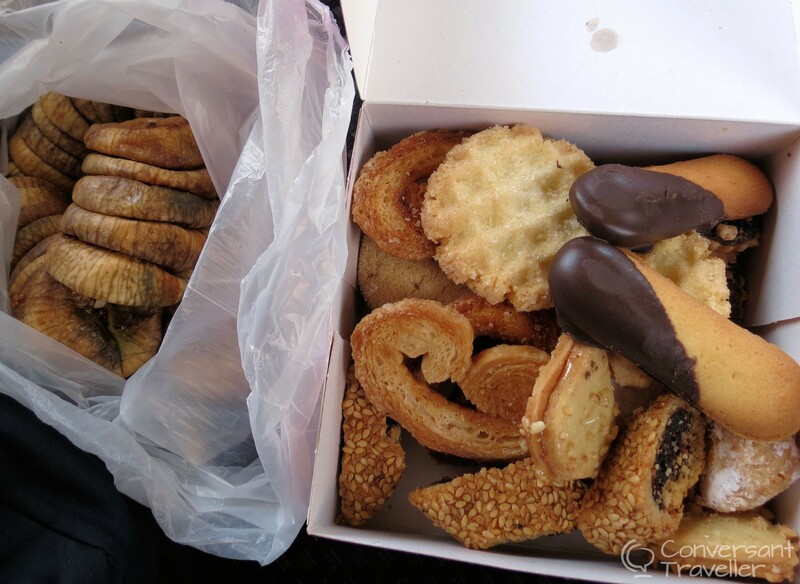 Sometimes it was fresh fruit such as apricots, bananas, dates and figs, whilst on others we were treated to Moroccan cookies, nuts and pastries. Although I gave the oranges a wide berth (imagine a two year old eating one and you get the idea of how much mess I make!) I discovered that I love apricots and realised I’ve never actually eaten a fresh one before. It’s always been the shrivelled dried up excuses for fruit that come in packets which I personally think tastes like food of the devil. On the 6th day there were cookies and figs. Salah certainly knew how to look after us. Salah also kindly took care of all tips during the tour, such as for parking in towns and the farmer whose goats we photographed in the Argan trees. Tipping is one of the most stressful things to deal with in Morocco, simply because we’re not used to it and never really know when, or how much to give. He was also so thoughtful to remove the front passenger seat headrest so I had a good view and could take photos. I’d never have even considered doing that. Brilliant and much appreciated! When we reached Essaouira, our final destination, Salah cross-examined the carossa (the baggage cart chap) to ensure he definitely knew our riad, and wasn’t just going to take us somewhere else where he receives commission. Even to the last we were being well and truly looked-after. Thanks Salah, you’re a star! 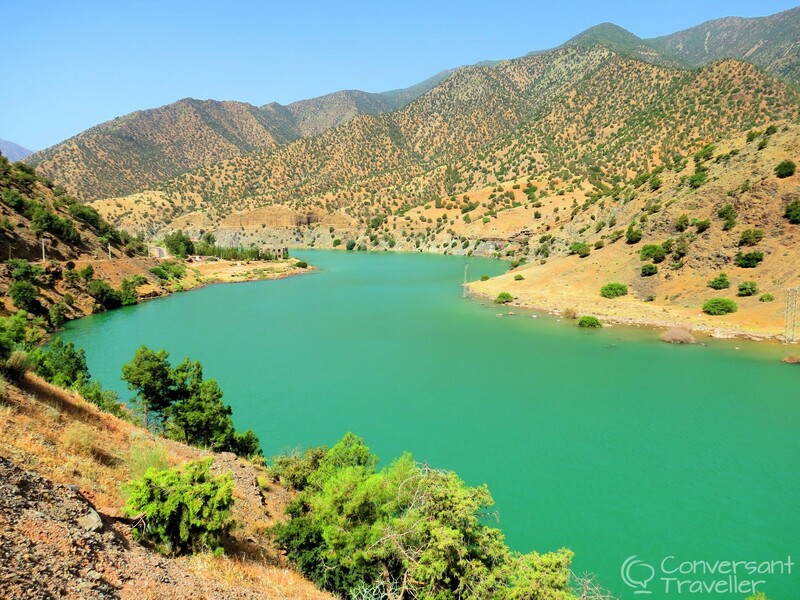 On tour with Wild Morocco – the impossibly blue waters of Ouirgane Reservoir in the High Atlas, Morocco. It isn’t in our nature to stand by and watch someone else do all the work, and we found it difficult to act like clients rather than just mucking in and assisting with things like our heavy suitcases. We were soon told off for helping and realised that by not sticking to our designated roles we were probably making Salah equally uncomfortable. There was a lot of driving involved, and with some days over 6 hours on the road we did worry that Salah was doing too much. Yet he and every other guide in Morocco do this pretty much every day for months on end, finally having a proper rest during the hotter summer months when there are fewer clients. It’s quite normal, and he was probably a bit baffled at us being as concerned for his welfare as he was for ours. Salah, you matter just as much as we do!! We’ve found paradise and it’s called the Ameln Valley. 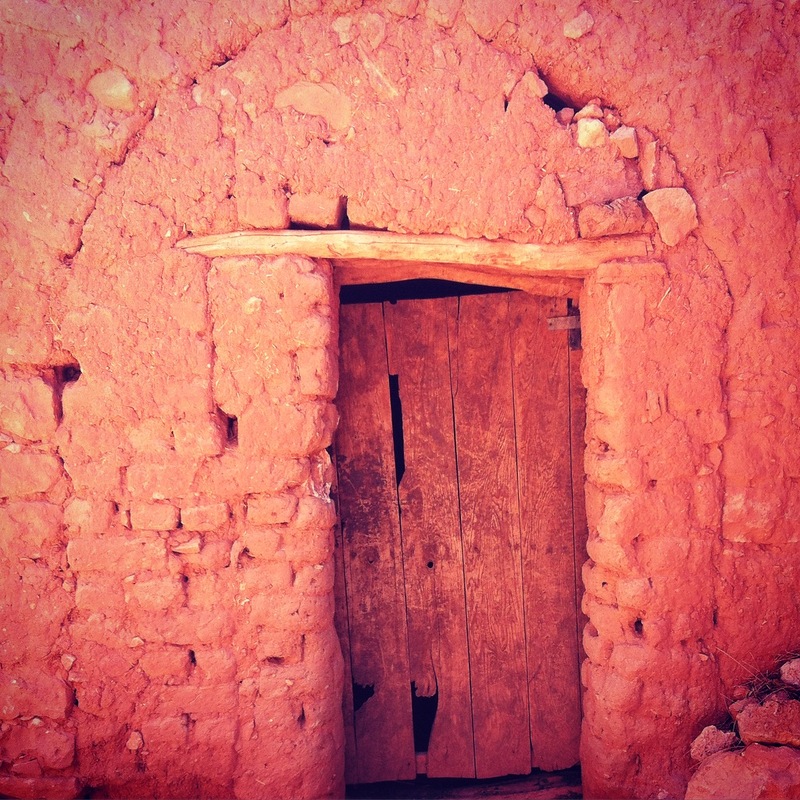 Loved exploring hidden places like this with Wild Morocco. Although this was a tour, we were able to retain as much independence as we wanted, so had the benefits of Salah’s expert knowledge without feeling smothered or constrained. It was great not to feel pressured by all the little things that we’d normally have to take care of ourselves so we could concentrate on doing what we’d come to do. And maybe, just maybe I enjoyed being treated like a queen for a few days. I might tell hubbie I could get used to this way of life! We were impressed that Wild Morocco so expertly balanced professionalism with personality and I have to say it was truly a pleasure to be on tour with them. 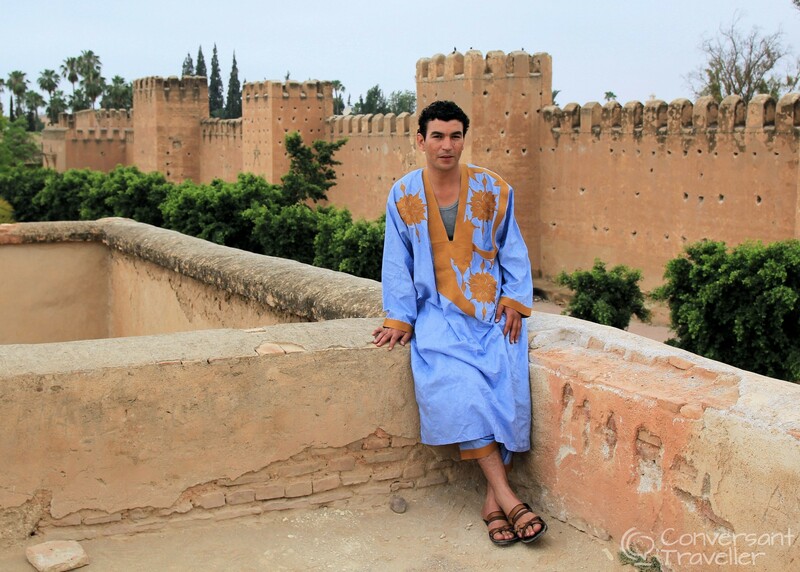 I wouldn’t hesitate to recommend them to anyone wanting to discover the real Morocco, and we’d certainly travel with them again. 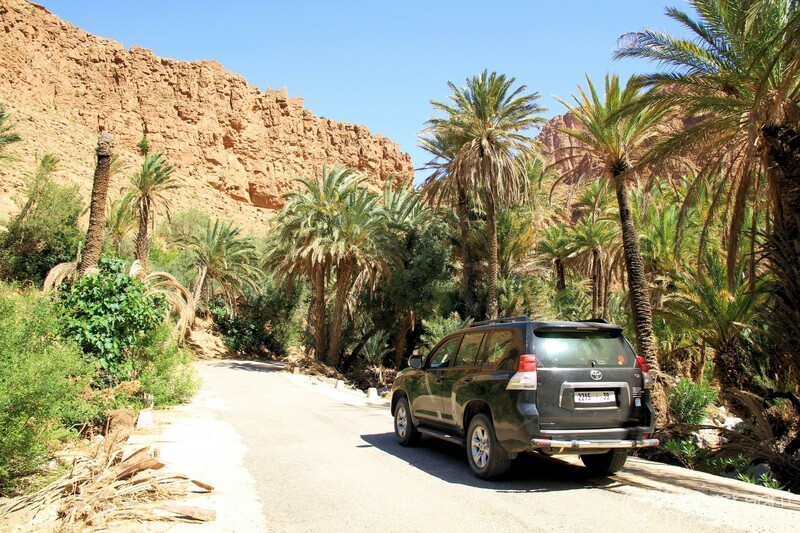 Indeed hubbie has got his eye on their new self drive adventure through the Atlas and the Sahara, so watch this space, we could well be back for more! Driving over the Tizi n Test pass with Wild Morocco was one of the most stunning journeys we’ve ever taken, the High Atlas just keeps on giving! Whilst we’re by no means going to trade a life of independent travel for one of organised tours, we can see ourselves being more trusting of third party services in the future, and have to admit as we get older and more accustomed to luxury, experiences like this may begin to feature more prevalently than before. An exciting new chapter for the Conversant Traveller. So as they say in Morocco…Yalla….lets go! Thanks to the wonderful folks at Wild Morocco, in particular Emily and Salah, for so expertly showing us more of our favourite country and convincing us tours aren’t so bad after all. Our private tour was complimentary but all words, photos and opinions, as always, remain my own.